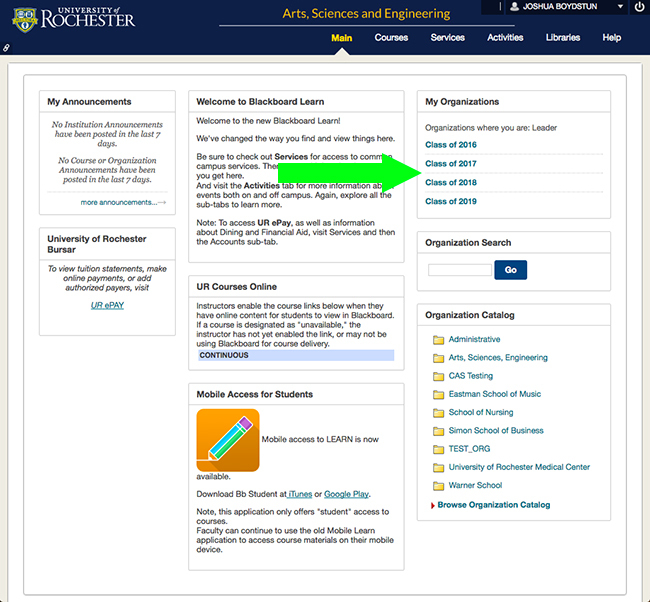 Step 2) Once you are logged into your Blackboard account, select your class year under "My Organizations." 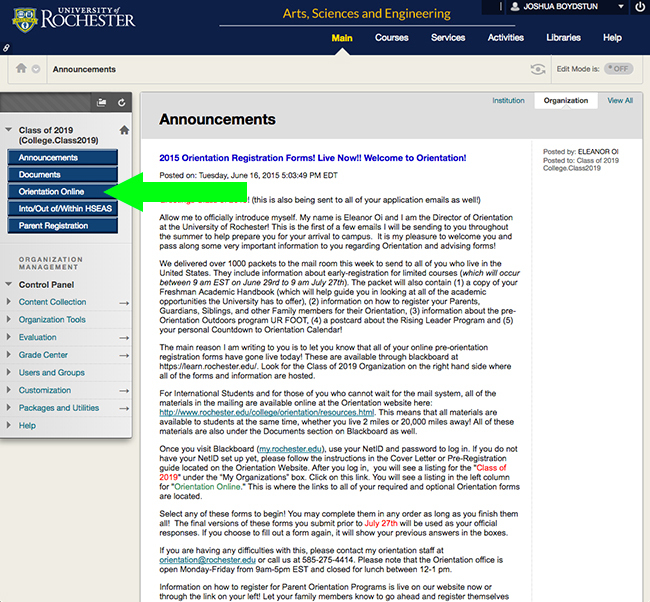 Step 3) On the main page for your class year, click on the "Orientation Online" link on the left-hand side of the page. 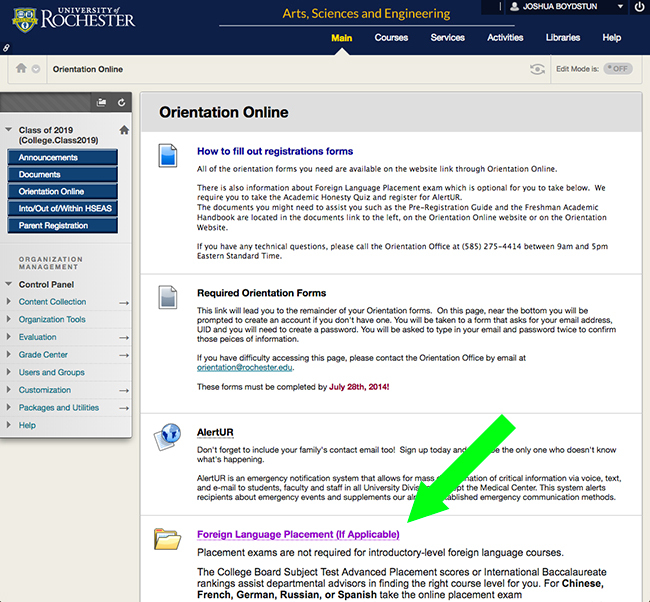 Step 4) On the "Orientation Online" page, scroll down to find the "Foreign Language Placement" section. Be sure to read the instructions below, which will provide you with the link to UR's WebCAPE page and the password required to login. 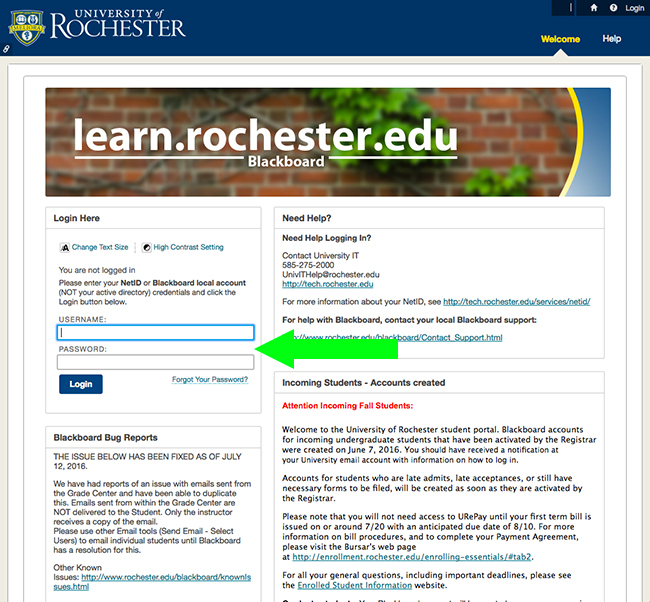 Step 5) Login to UR's WebCAPE account using the password provided in Blackboard. Step 6) Select the desired option from the "Language" menu and click the "Begin" button. Before the actual test, you will be asked to enter some personal data (name, URID, email) and information about your language background. Please be as thorough as possible, as this information is critical to our ability to accurately determine your placement. Note: Any semester placement you may receive with your online numerical test score is not based on UR's official placement rubrics and, therefore, should not be taken as an indication of your actual placement.